In church on a recent Sunday, the sermon theme was "humility." It struck me immediately, "This is a subject that Hoosiers know well!" Indiana’s tagline for our bicentennial celebration is "Honest to Goodness Indiana." Certainly, it reads like a true Hoosierism; rooted in authentic, time-honored values. USA Today reported the initial reaction to the slogan as "decidedly mixed." While we are comfortable with our humble nature, when does that humility at some level turn to dysfunction? While we respect humility and an honest critique when we could do better, at what point do we hold ourselves back because we discourage a healthy dose of confidence in our unique skills, gifts and abilities? Can excessive humility hold us back from achieving our full potential? We cringe at the blatant bragger, but what if we are simply being honest about who we are, what we have achieved and the potential that lies before us? 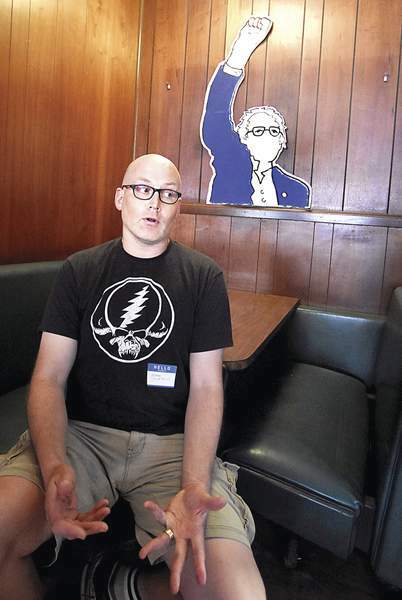 Last year, I met a gentleman who had recently relocated to Fort Wayne. 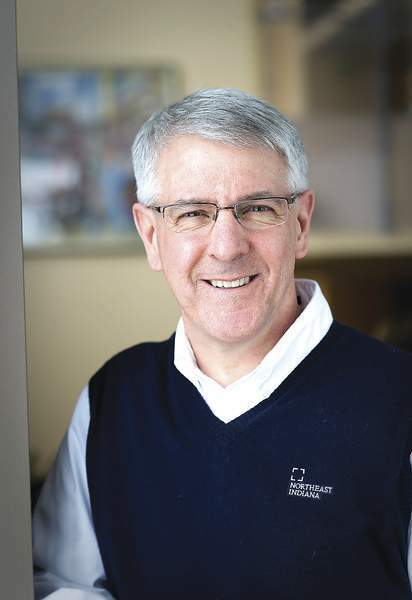 Christophe Dessaigne, of Ambassador Enterprises, caught me by surprise when he boldly proclaimed his honest assessment of his new hometown: "I live in the best city in the Midwest – Fort Wayne." He was not bragging. In his case, context is important to appreciate the magnitude of Christophe’s declaration. He was born in Monaco, studied in France, Venezuela, Canada and Denmark, and now calls Fort Wayne home. Later, Christophe shared with me his commitment to growing the pride of others in his hometown. Christophe enjoys a global frame of reference that brings objectivity to his assessment of our hometown and vibrant city of Fort Wayne. So, since we disdain bragging, let’s just stick to the facts. Where have we been, what have we accomplished as a region and where are we headed? Remember, this is not bragging, just the facts. 1. In 2006, we were a region that had lost its swagger. We were suffering from the decline of per capita income against the national average. We complained bitterly that we were treated poorly by the local and national media yet we accepted humbly that we were a remnant of the dreaded Midwest "rust belt." 2. In 2008, Pulitzer Prize-winning author and Chicago Tribune reporter Richard Longworth published his book,"Caught in the Middle." Longworth’s analysis provided little hope for Indiana’s future in a global economy. 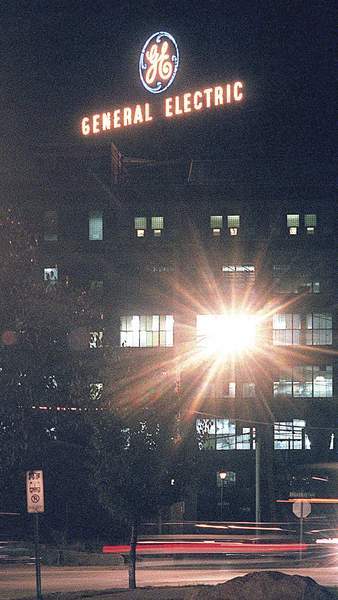 He reported one Indiana mayor’s conclusions: "There’s a malaise here. A defeatist attitude. People have been so beat down by layoffs, they’ve lost the will. Maybe it’s the Indiana attitude. I’ve never been anywhere that is so risk averse. A lot of parents just don’t value education, and they’ve passed that on to their kids. There’s a lack of leadership. Indiana people seem to be content to be mediocre people living in mediocre cities." 3. In 2009, the Regional Partnership launched the Vision 2020 process to confront the most difficult challenges constraining the region’s economy and to develop a long-term view for our place in the global market. More than 1,000 regional stakeholders assembled at an economic summit to launch Vision 2020. 4. In 2009, the Lilly Endowment awarded a $20 million grant to northeast Indiana for the Talent Initiative, focused on developing education and workforce development systems in support of regional defense employers and advanced manufacturing. As a result, northeast Indiana public school districts launch six New Tech high schools with STEM emphasis, the highest concentration per capita of New Tech schools in the country outside of California. 5. 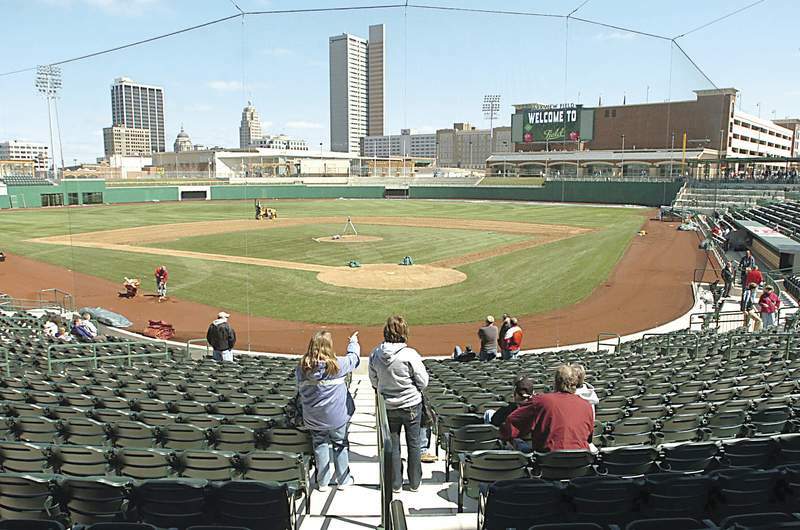 On April 16, 2009, Parkview Field celebrated its first opening day, marking the tipping point for momentum in downtown development for Fort Wayne. 6. In 2011, both 24/7 Wall St. and The Fiscal Times named Fort Wayne and the MSA No. 1 in the nation for new job creation. 7. In 2015, Stadium Journey named Parkview Field the "Best Ballpark in America." 8. By 2015, Indiana was consistently ranked by national surveys such as the Tax Foundation, Brookings, Pollina and Chief Executive Magazine as best in the Midwest and Top 10 nationally for business climate. 9. In June 2015, 16 mayors and 11 county commissioners unanimously elected five private board members to form the Northeast Indiana Regional Development Authority. The RDA is the largest development authority in Indiana and was formed with the broad support of 73 of 77 County Council members in the 11 counties. 10. On Aug. 25, 2015, the Regional Partnership and Greater Fort Wayne Inc. submitted Northeast Indiana’s Road to One Million plan in response to the Indiana Regional Cities Initiative. The plan lays the groundwork for a bold vision to grow Northeast Indiana’s population to 1 million residents by 2031. 11. On Dec. 15, 2015, the Indiana Economic Development Corporation announced that northeast Indiana was one of three regions awarded $42 million each in state matching funds to accelerate investments in quality-of-place assets. 12. In 2016, Greater Fort Wayne Inc. revealed a bold plan to fund five major projects in the development of downtown Fort Wayne – a downtown arena, The Landing, The Riverfront, the GE campus and STEAM Park. In total, the vision represents more than $600 million of investments in quality-of-place assets for the region. I could go on, but for fear of endangering my claim to humility, I will stop. I am only scratching the surface, but these are simply the record of facts of a city and region earning a place as an amazing area to live and work. An even more important chapter of our story is regaining the swagger of residents who call our region home. We have found our stride in the honest and hard-earned capability to work together for a better future despite the challenges every community faces. Where we have been, how far we have come, and our vision of hope for a brighter and more prosperous future for every resident is alive and well in the hearts and minds of the proud Hoosiers who call Indiana, Fort Wayne and this region our home. "Fort Wayne is the place I’ve rocked countless shows, been found by my now wife, seen two beautiful sons born by her, and been fortunate enough to work my dream job. Fort Wayne isn’t a city, it is our home. If you don’t read that sentence and have a sense of pride rising in your chest, I don’t know what to tell you." Humbly, this is no brag, just the facts.